Having a missing tooth is anything but rare. In fact, 178 million Americans are missing at least a single tooth. It can be tempting to avoid the hassle and expense of replacing a missing tooth, but this can really impact both your overall oral health and your self-esteem. Dental bridges are a great way to replace that missing tooth or teeth and get back a great-looking smile. Dental bridges “bridge” the gap created by one or more missing teeth. Anchored by the healthy teeth on both sides of the gap, a bridge features a false tooth or teeth to replace those that are missing. Here at Golden Dental Solutions, our Golden, CO dentists Dr. Nancy Gill and Dr. Dallas Kenson use a variety of bridge options to address your particular needs. A dental bridge consists of two dental crowns on the healthy teeth on each side of the gap created by the missing tooth or teeth and a false tooth/teeth in between. The entire prosthetic is a single piece and in most cases is permanently fixed in place. Technically, the dental crowns are placed onto the “abutment” teeth on each side of the gap. The false tooth or teeth are known as pontics. We prefer our pontics to be made from porcelain, as porcelain closely resembles the translucence and shine of a natural tooth. Who Should Consider a Tooth Bridge? Some people opt to not replace a missing tooth. Cosmetically, this can impact your self-confidence, especially if the missing tooth is visible to others. This can make a person consciously avoid smiling so that their teeth remain covered. Beyond cosmetics, not replacing a tooth can wreak havoc on your oral health. When a tooth is missing, the teeth on both sides of the missing tooth no longer have pressure on them to stay in place, and they tend to slide over into the space. This can impact your bite and the overall alignment of your smile. Missing teeth also lead to deterioration of the gum tissue and jawbone beneath the empty space. Placing a dental bridge involves two office visits. During your first appointment, we prepare the abutment teeth for their crowns. To do this, we shave down a portion of the enamel on both teeth to make room for the crowns to be placed over them. A crown overlays the entire tooth down to the gumline. Once the two abutment teeth are shaved down we take impressions of your teeth and send them to a dental lab. The lab uses these impressions to create the bridge. We also use your impressions to create a temporary bridge that we place while your dental bridge is being created (usually two weeks). When your dental bridge is finished, you’ll return to our office and we’ll test the fit and check the color match with your adjacent teeth. We’ll adjust the fit as needed to be sure your bite and the bridge framework are just right. Sometimes, we place your dental bridge with temporary cement so that you can test the fit during normal use before we permanently cement it into place. Traditional bridges are the type we’ve described above with crowns on two abutment teeth and a pontic between them. Traditional bridges are the most common. We prefer them to be made from porcelain for durability, but other materials such as ceramic can be used. Cantilever bridges are used when there are adjacent teeth on only one side of the missing tooth or teeth. Unlike a true bridge, with anchors on both sides, a cantilever bridge is more like a balcony. We anchor these types of bridges with two crowns on the one side. Maryland bridges are also known as resin-bonded bridges. Typically used on the front teeth, a Maryland bridge doesn’t use crowns as anchors. Instead it attaches to bands that are bonded to the back surfaces of the supporting teeth. There isn’t much pain associated with getting a dental bridge. Really, the only part of the procedure that even requires local anesthetic is preparing the abutment teeth for their crowns. There may be some very minor soreness afterwards, but this is minimal. Dental bridges generally last from 5 to 15 years, but can last even longer. What’s important is the care of the abutment teeth, along with your other natural teeth. If you take good care of them your bridge can last a long time. Dental implants are actually a better option for replacing missing teeth, but the process and expense can make some patients opt for a dental bridge instead. Implants are false teeth anchored by titanium “implants” that are actually inserted into the missing hole formerly occupied by the natural tooth root. The jawbone then grows around the implant, making it part of the jaw. The false tooth is attached to the implant. Implants behave exactly like a natural tooth, which is why they are the best tooth replacement option. If you are interested in dental bridges and would like to see if you are a good candidate, contact our office at (303) 277-9600. 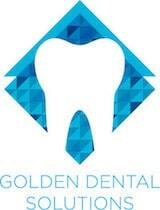 Our practice serves Denver, Golden, CO and surrounding areas.